They fell in love and started a pop-up. You know what comes next. Field & Vine is located in the former Journeyman space in Somerville. 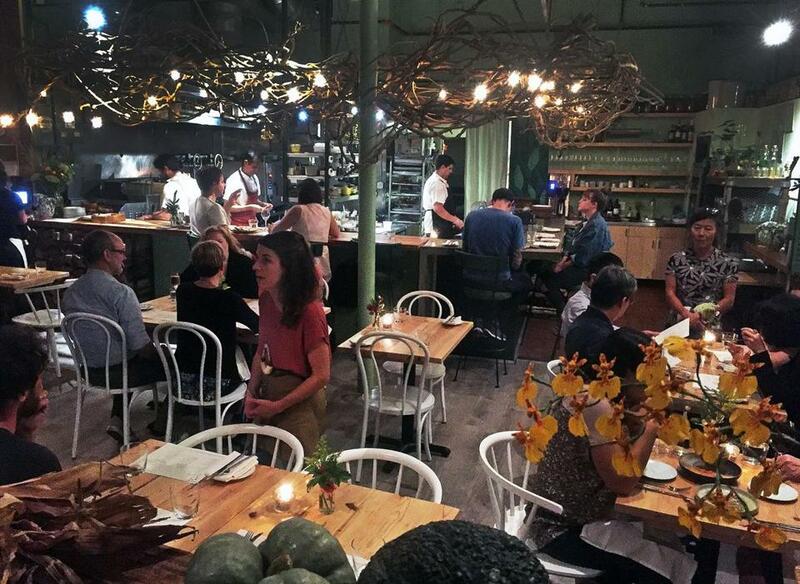 Where to Field & Vine, a restaurant where the food is inspired by the natural world: seasonal, sustainable, ingredient-driven. It’s located in the former Journeyman space. What for A very Somerville experience. Chef Andrew Brady and Sara Markey met working at Bronwyn in Union Square, fell in love, started doing pop-ups as Company Picnic, and finally opened this brick-and-mortar, steps away from Bronwyn. What you’re eating There’s raw bar, from oysters to tautog ceviche with mint and sumac, and snacks like focaccia with a choice of spreads. But most of the menu is divided between “vegetables” and “not vegetables.” In the former category: grilled beets with late-season strawberries and halloumi, crispy potatoes, and radishes with chicken liver pate. In the latter: beef tartare with nuoc cham aioli and chips, Parisian gnocchi with foraged mushrooms, and fried chicken with kohlrabi, maple, and pickled-ramp ranch dressing. For dessert, there are lavender pots de creme and milk and cookies. Field & Vine also does the food for the adjacent Back Bar. Think pickles, bluefish pate, and a spicy, crispy chicken sandwich. Care for a drink? Start with a vermouth aperitif, then move on to local beer and cider. In keeping with the menu, the wine list showcases producers dedicated to the expression of terroir, from a Slovenian sparkler to a lightly chilled grignolino. After dinner, try one of several tea blends, such as turmeric-ginger or smoky vanilla chai.